The safe and modern way to tree surgery. 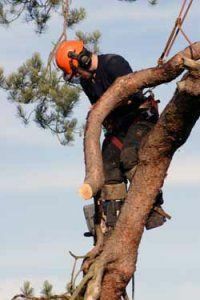 At Pinewood tree care all our operatives are fully qualified, highly experienced tree surgeons, capable of undertaking any aspect of tree surgery. By choosing us for your future tree surgery requirements, you can feel confident that your trees and property are in safe hands. Established for over 20 years Pinewood Tree care have grown to become one of the most respected tree surgery businesses in South of England including High Wycombe. We have a skilled and qualified team and an excellent track record working with a range of commercial, public sector and residential clients based in many areas. For all of our tree-care work we are fully insured and compliant with the relevant legal requirements. We work to industry best practices in all aspects of our tree care services and follow best practice for the protection of wildlife habitats and conservation. We are based in High Wycome but also provide services in Uxbridge, Henley, Buckinghamshire, Maidenhead, South Oxford, Slough areas. Call now for Tree Felling in Buckinghamshire or Tree Surgeon in High Wycombe. All of our tree surgeons are fully qualified and highly trained with over 20 years experience, providing you with excellent work at competitive prices so you receive the best for less. All work undertaken is fully guaranteed and insured, with customer satisfaction being absolutely paramount in everything we do. Whether you require tree felling in Buckinghamshire or stump removal in High Wycombe, we are the reliable specialists for you. For more information on our services or for a no obligations quote, please feel free to contact us here at Pinewood Tree Care on 08005422752 (Free Phone) and we will be more than happy to answer any of your enquiries.